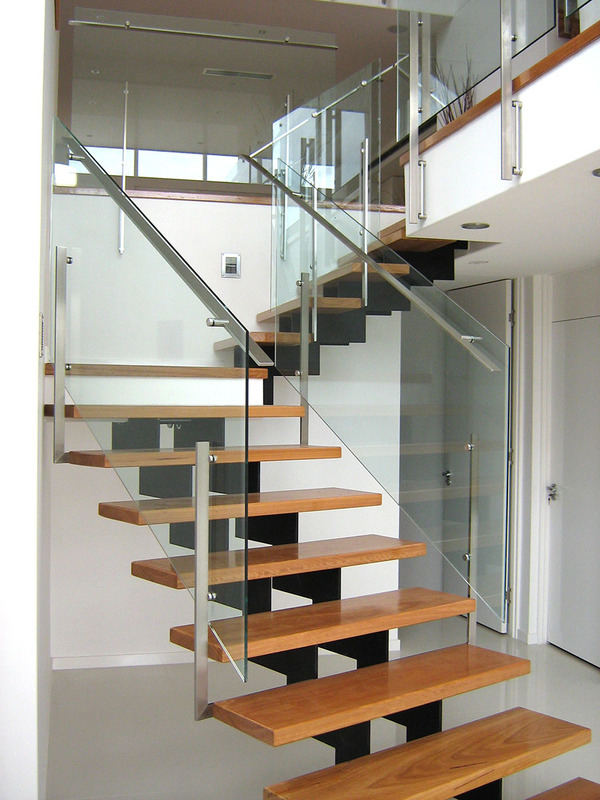 The X1-Series Tread Fixed frameless glass balustrade with flatbar handrail system is designed to fix to the back of cantilevered stair treads on staircases using a central stringer. It is suitable for use on; houses, residential buildings and offices and other areas with a maximum loading of 0.75kN/m. The 50×10 handrail fully complements the X1 Series stanchions and is designed to maximise the views attainable through the balustrade whilst complying with the “interlinking handrail” requirements of AS 1288. 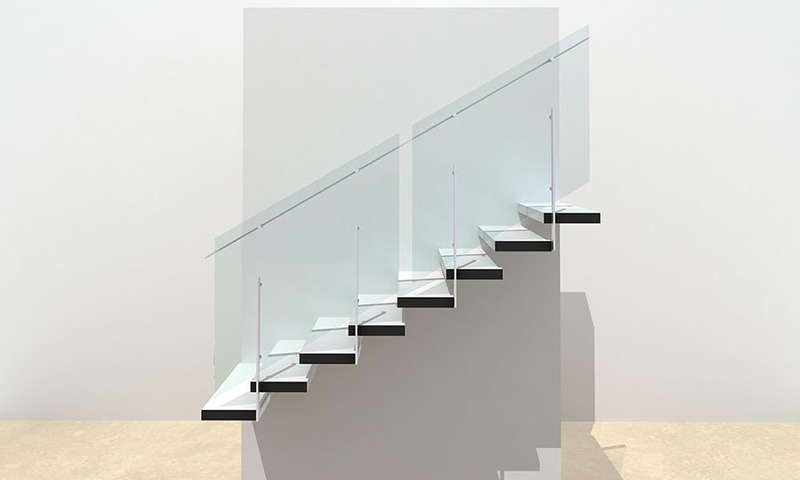 System: THUMP ARCHITECTURAL FITTINGS ‘X1 Series’ – with tread fixed X1TRP stanchions with GF50P handrail with toughened glass glazed infill panels. Handrail to be mounted to internal face of glass with glass mounted to internal face of stanchion. 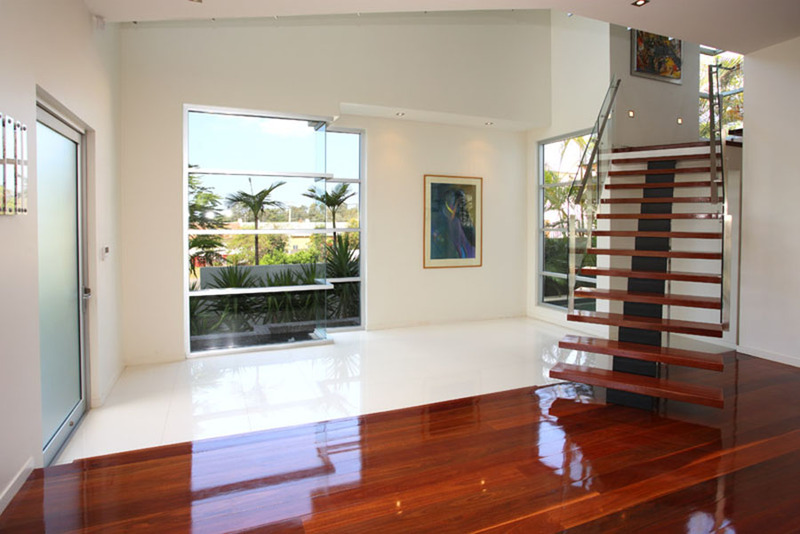 Supports: 2 No minimum stainless steel flat supports sized by manufacturers engineer to each glass panel and fixed to rear of stair treads.